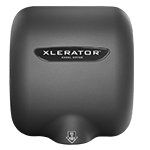 XLERATOR® Hand Dryers can help facility managers save thousands of dollars annually by eliminating the need for paper towel dispensers and their maintenance. 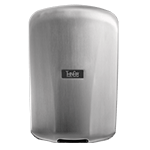 Compared with paper towels, XLERATOR Hand Dryers offer a 95% cost savings on average. Fill in the grey shaded boxes below with your annual paper towel costs and current rate for electricity per KWH. 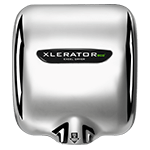 Then find out what you will save by installing XLERATOR Hand Dryers and how much you will reduce your impact on the environment! *NOTE: One dryer for every two washbasins is sufficient for most applications. If restroom traffic is unusually heavy, we suggest one dryer per washbasin in small installations, and two dryers for every three washbasins in larger installations. 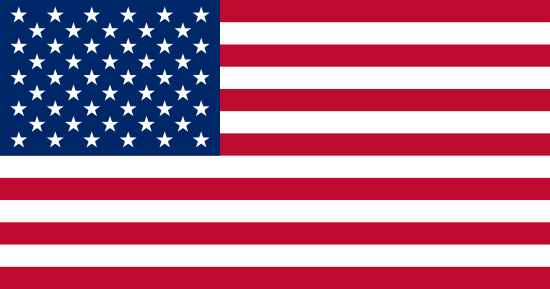 When a 54" round-type washbasin is used, we suggest four to five dryers. In multiple installations, one dryer should be mounted at recommended height to be accessible and compliant with ADA requirements.